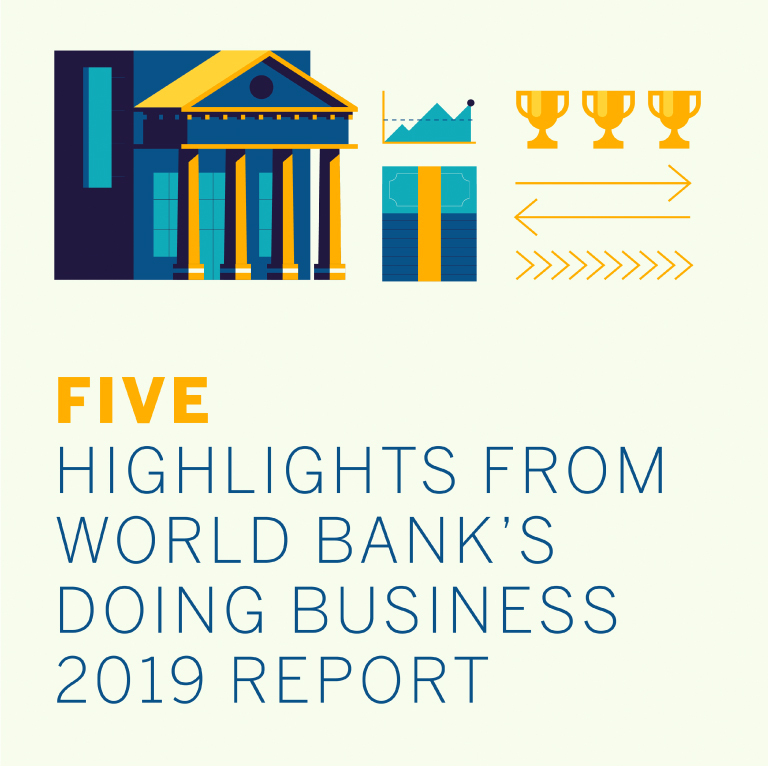 In the latest iteration of World Bank’s Doing Business 2019 Report, India once again made significant strides, a jump of 23 places to reach Rank 77 out of 190 economies. 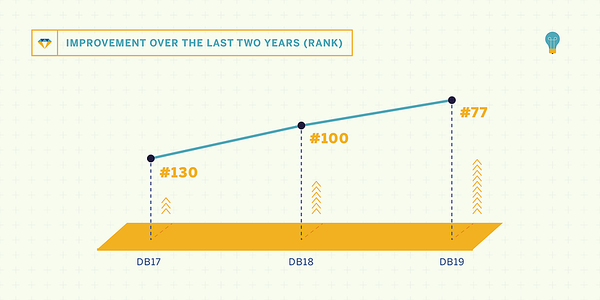 This jump is even more significant given India’s 30 place jump last year, which had bought it to Rank 100. This is a rare feat for any large country. 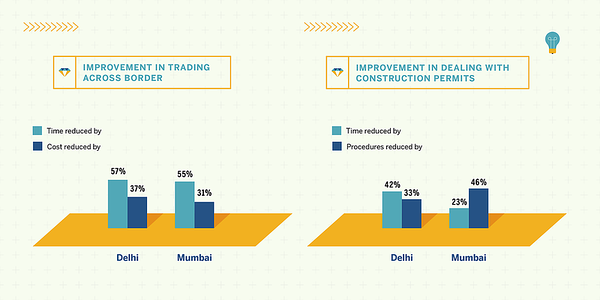 India is now the best ranked from the South Asian region. 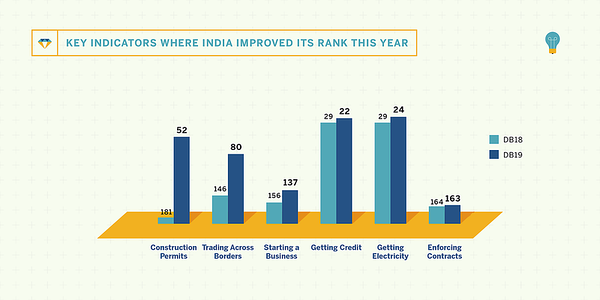 World Bank once again recognized India as one of the top 10 improvers in this year’s assessment, for the second year in a row. 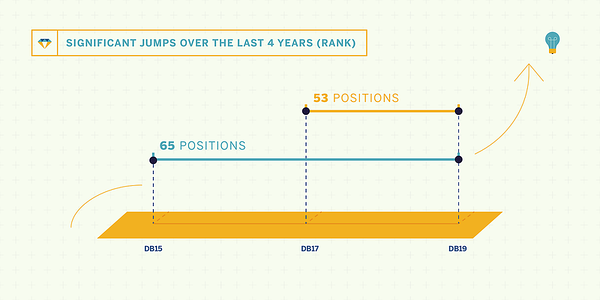 India has improved by 53 positions in the last two years, and 65 positions in the last four years. 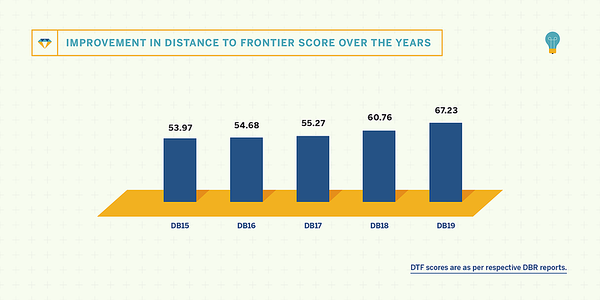 India is the first South Asian and BRICS nation to have achieved this.